Wheelchairs are chairs with wheels designed to serve users that are unable to, or have difficulty with, walking due to injury, illness, or disability. 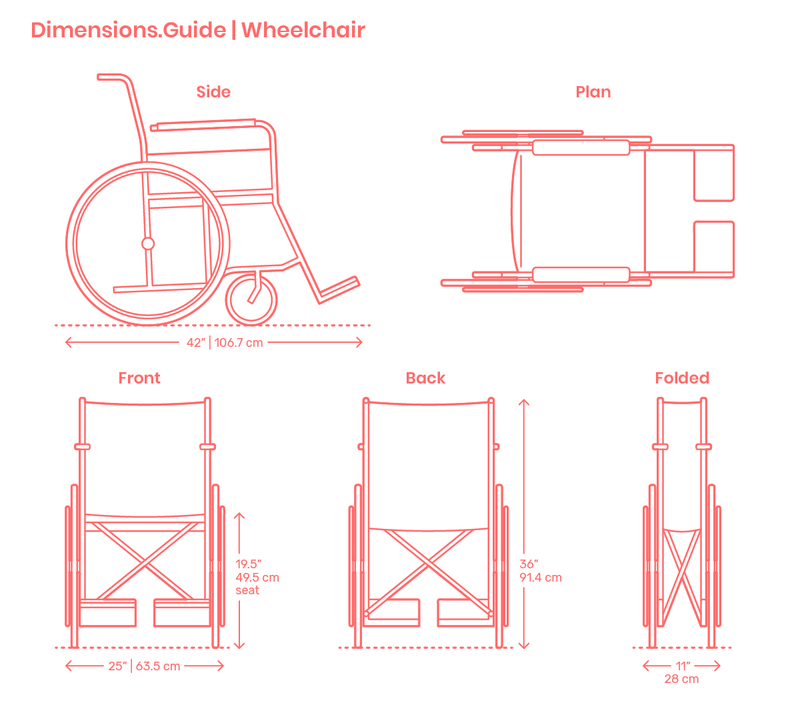 Standardized dimensions and related clearances for wheelchairs directly impact the built environment by establishing required widths and turning radii mandated in an effort to make public buildings accessible for all people. Wheelchairs come in a variety of types based on technology, methods of propulsion, and specific uses that leads us to a range of chairs that include everyday manual chairs, sport chairs, custom chairs for challenging terrains, standing position chairs, and motorized chairs. A typical wheelchair has a length of 42” | 106.7 cm, an overall height of 36” | 91.4 cm, seat heights around 19.5” | 49.5 cm, and a width of 25” | 63.5 cm.